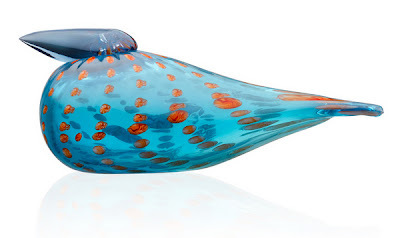 2011's annual Oiva Toikka bird by Iittala, the Coral Eider, and the Coral Eider's Egg are stunning turquoise and orange collector's items, individually mouth-blown in Finland. As a special holiday promotion, we are offering free USA shipping and we'll also send you a free 50th Anniversary commemorative Toikka mug with Oiva Toikka's sketches on them. Specify blue, grey or moss in the comments section at checkout. 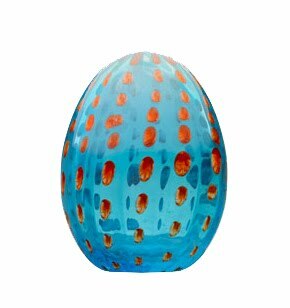 Order now to avoid disappointment -- the Toikka Coral Eider, and the Toikka Coral Eider Egg are only available until December 31st and will no longer be produced after that date.